The D-backs fought to live another day by winning Tuesday’s Game 3. 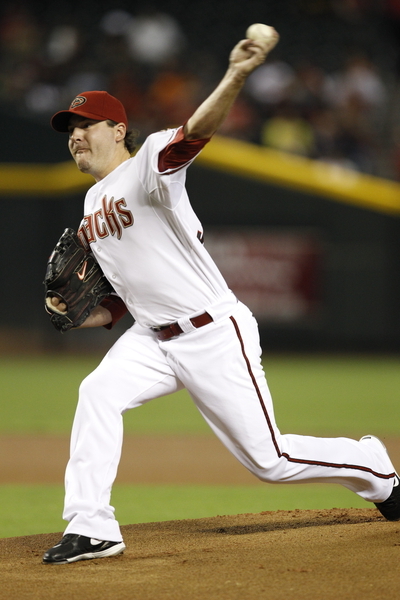 Now it’s up to veteran left-hander Joe Saunders to keep Arizona’s postseason dreams alive. The southpaw will toe the rubber Wednesday night for Game 4 of the National League Division Series. 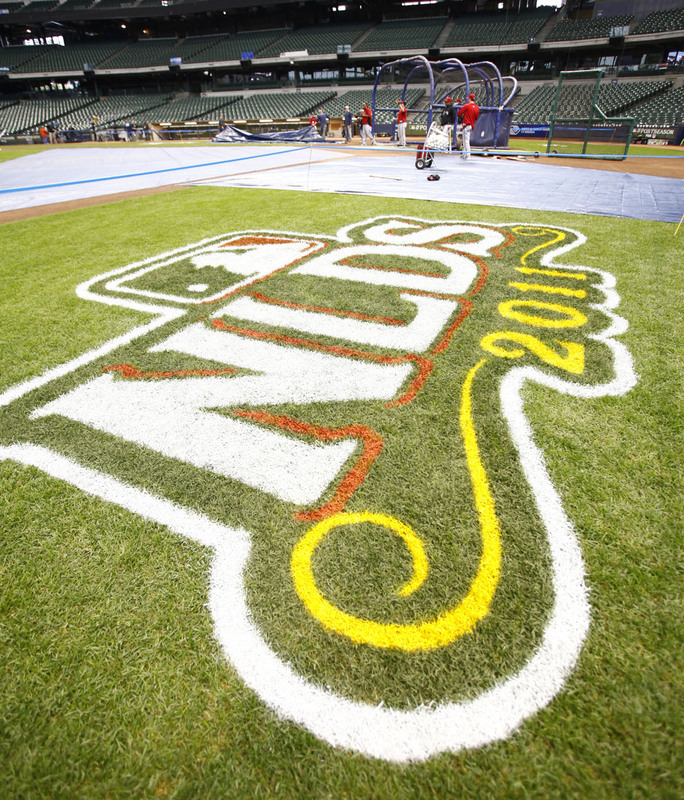 When two arch division rivals are playing meaningful September baseball, it makes for plenty of exciting series late in the summer. The D-backs and Giants have been locked in a compelling battle for the division crown since late May. Arizona holds a six-game lead with six games to play in the regular season. With the magic number at one, San Francisco comes to the Valley of the Sun for a three-game series. Roberto Clemente was truly one of a kind. When the Pittsburgh Pirates’ great wasn’t starring on the field in the Steel City, he was donating his time and resources toward countless philanthropic outlets. This time last season, the D-backs were mired the National League West cellar, while the Giants were well on their way to capturing a World Series title. Joe Saunders must like facing the Padres. Last month, the southpaw silenced the San Diego lineup in a dominating performance at Petco Park. He tossed eight shutout innings before yielding a single run in the bottom of the ninth. On Saturday night, Saunders toed the rubber against the Padres once again, and similar to his July 26outing in San Diego, the left-hander quieted the Padre offense for seven innings. He scattered four hits and allowed a lone run while striking out three as the D-backs held on to a 3-1 victory. When a team has a pair of dominant pitchers atop its starting rotation, it’s easy to overlook the remaining three starters. In 2011, Ian Kennedy and Daniel Hudson have undoubtedly been dominant as the anchors of the D-backs’ pitching staff. Then there’s Joe Saunders. The southpaw has been reliable and then some for Arizona down the stretch this season. 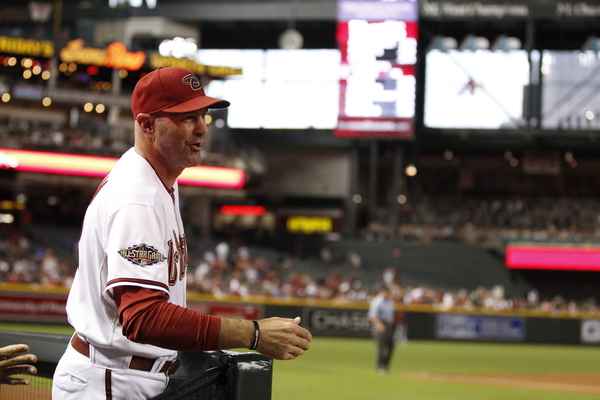 After a slow start, he’s continually put the D-backs in a position to win every time he toes the rubber. 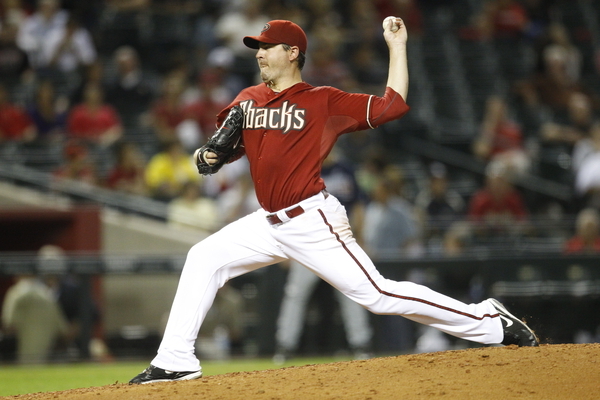 D-backs lefty Joe Saunders just tossed a complete game in his Chase Field debut, giving up one run on five hits. In two starts for Arizona now, he’s given up just three runs in 16 innings. It’s the third complete game of the year for the D-backs, as Dan Haren and Edwin Jackson each had one (Jackson’s, of course, was the no-hitter in Tampa). Saunders was an All-Star in 2008 when he posted a 3.41 ERA and 17-7 record in 31 starts for the Angels, though he has seen his numbers dip since. Not a big strikeout guy (career 5.10 K/9IP), he is at his best when limiting free passes, something he has struggled with on the whole this year (3.36 K/9IP, 2.98 for his career). However, he has pitched very effectively as of late, with a 3.48 ERA in his last five starts, spanning 33 2/3 innings, and has a 3.80 ERA in his 14 starts since May 8, spanning 90 innings. Corbin is in the midst of his second season of professional baseball, and has lit up the Midwest and California Leagues. He works with three big-league quality pitches, and while he may not sport top-of-the-rotation stuff, he has racked up plenty of strikeouts in the low minors, 152 strikeouts in 165 innings in his career, with 106 of them coming in his 118 2/3 innings in 2010. Add to those numbers a total of just 39 career walks, 28 of them in 2010, with high ground-ball-to-fly-ball ratios, and Corbin is a pitcher who simply doesn’t have any major flaws in how he pitches. Perhaps where Corbin has been most impressive is the Hi-A California League, due to its notoriety as a hitter-friendly league with warm, thin air and some tight ballparks. In his eleven starts for Rancho Cucamonga, the Angels’ Cal League affiliate, Corbin struck out over a batter per inning, racking up 64 strikeouts while walking just 18 in 60 1/3 innings of work. His GO/AO ratio was also a fantastic 1.51:1 for Rancho Cucamonga. Corbin has been assigned to Hi-A Visalia, the D-backs’ affiliate in the Cal League. Rodriguez comes to the D-backs as another solution for the team’s bullpen woes, and boasts an impressive Triple-A track record to back it up. He posted a 1.85 ERA in 22 games, spanning 34 innings, at Triple-A Salt Lake in the Pacific Coast League in 2009 before spending 18 games pitching out the Angels’ big-league pen. He posted a 3.04 ERA for Salt Lake in 37 appearances in 2010 prior to the trade. Rodriguez has been assigned to Triple-A Reno, the D-backs affiliate in the Pacific Coast League. He debuted yesterday for the Aces. – An important, final piece of the deal (there was one player to be named later) should be announced later this year, and we’ll have a look at him when the official announcement is made.